BLOG CANDY! Check back tomorrow for some more fun and a chance to win another SU! set!! 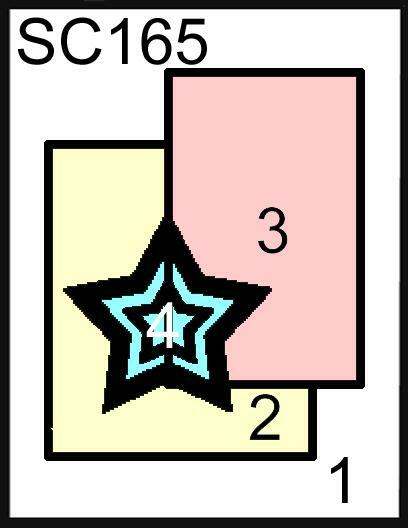 Well it’s Wednesday and that means it’s time for another sketch challenge on Splitcoaststampers. Look at this fabulous sketch Roxie has for us today. Here’s my card I made using this sketch. I just love this sentiment from Winnie the Pooh. I used some more of my new See D’s stamps and SU!’s Afternoon Tea designer paper. 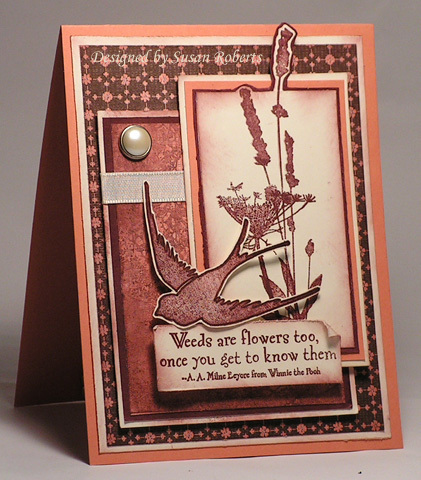 Using only Bravo Burgundy ink I stamped the “flower” images, bird and sentiment. Also the Afternoon Tea dp panel is stamped with a great big beautiful stamp from See D’s “Boutique Grunge” set. Bravo Burgundy is one of my favorite SU! colors. I love it here paired up with Groovy Guava. Hope everyone has a great day and thanks for stopping by.